Robyn Dwyer is an Adjunct Research Fellow in the SSAC program at NDRI and Research Fellow in the Centre for Alcohol Policy Research (CAPR), La Trobe University. Her current research focuses on alcohol drinking cultures and communities of practice, take-home naloxone and public drug marketplaces. Robyn has been involved in qualitative and quantitative alcohol and other drug use research since 1999. She has an academic background spanning public health, anthropology and sociology, and has worked in a variety of settings including universities, research institutes and community/NGOs. Robyn’s current research collaborations with the SSAC team focus on addiction screening and diagnostic tools. She is examining the relationships between these instruments, their specific items and core concepts in ‘addictions theory’ and how they are situated in current practice. Robyn will also work with Suzanne Fraser on the new ARC-funded project investigating impediments to the uptake of take-home naloxone in Australia. 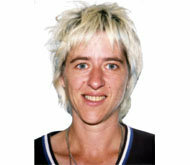 Robyn is an invited reviewer and contributor to several international journals, and is a member of the editorial board for Contemporary Drug Problems. She is a Fellow of the Society for Applied Anthropology (SfAA) and Chair of the Harm Reduction Victoria Board. Robyn has expertise in ethnographic and other qualitative methods and welcomes supervision opportunities in social studies of addiction, social and cultural contexts of alcohol and other drug use and injecting drug use. Her theoretical interests include science and technology studies, agency and subjectivity and anthropological theories of exchange and value.